If you are running a business, you want to give your customers the chance to gift your products or services to their friends and family in a way that is simple and in a way that will bring them in and encourage them to do business with you. 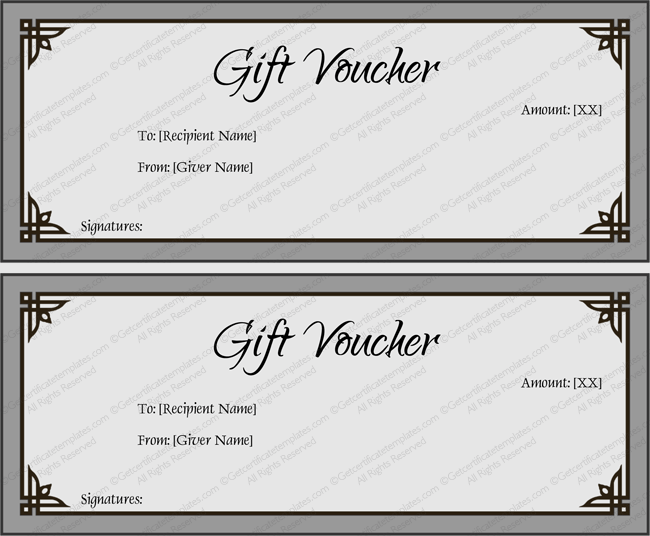 You need to create a gift certificate, and you will find that gift certificate templates will help you with that. This template has a simple design that will help you create something that is easy to understand. You will be able to make a certificate that anyone will be able to understand and put to use through the help of this gray template. You can use this template to create a certificate that has a beautiful design but that is still simple in appearance. You can use gift certificate templates to help expand your business and to help draw in new customers.